Aside from the Concealed Carry Reciprocity Act, the Hearing Protection Act (and the version incorporated into the proposed hunting reform package called the SHARE Act) is the biggest pro-gun bill on the legislative calendar. Since it’s a pro-gun bill, the anti-civil rights (it’s the truth - the right to keep and bear arms is a civil and human right…) mass media has tooled up with a bunch of misconceptions about the HPA, from the obvious falsehood of “everyone will be able to get an assassination tool…”, to the not-so-obvious, most notably that the HPA completely deregulates suppressors. That is far from the truth. It’s true. The only thing the Hearing Protection Act will be doing is removing suppressors from the purview of the National Firearms Act. In other words, suppressors will be changed in classification from Title II arms, a classification which also includes machine guns, into Title I arms, a classification which includes handguns and long guns, i.e. 99 percent of the firearms sold in the US today. Suppressors will also not be subject to registration requirements and existing suppressors will be deleted from the NFA database. There’s nothing special about the background check on an NFA item. Even within the firearms community, a lot of people think the onerous wait times for an NFA item to be approved to transfer are because of some super-secret high-level Yankee Delta XYZ background check. That’s not true. The delay for NFA item processing is purely bureaucratic. The ATF’s NFA Branch in Martinsburg, West Virginia, is not fully automated. While there’s a system called eForms, it only processes industry-specific forms such as the dealer-to-dealer Form 3 transfer. It doesn’t handle Form 1 (application to make an SBR, for example), nor does it handle Form 4, which is the form you fill out to transfer a suppressor to yourself or your trust. In other words, 95 percent of their workload is paper-based. Each employee at the NFA Branch has to check the Forms for accuracy, and if it’s a trust purchase, that the trust is in order. That process takes ten or fifteen minutes per package. And there’s tens of thousands of packages to be processed. In addition, the ATF also determines if the item you are seeking to transfer exists in the real world, and also catalogs the individual or trustees’ fingerprints if they aren’t in the system already. Basically it’s a bureaucratic mess. A few years ago, the American Suppressor Association visited the NFA Branch. In the video below, you can see the boxes of forms and trust paperwork stacked up in the hallways and offices of the NFA Branch. I suspect it’s even worse these days. Anyways, after the paperwork is processed, a standard NICS check, as if you were purchasing a pistol or standard rifle, is performed, either at the NFA Branch itself for an individual purchase, or at the dealer’s location, for a trust purchase. And it’s been that way since the inception of NICS in the 1990s. Whether you are buying a handgun, rifle, machine gun, or suppressor, the background check involved is pretty much the same procedure. In other words, the “public safety” aspect is fulfilled in the exact same manner. All the Hearing Protection Act does is remove the bureaucratic delay. The gun-confiscating progressive elements in this country often speak of “compromise”, even though they never really do. The Hearing Protection Act is the perfect example of a compromise. Gun owners get something, i.e. the removal of an onerous tax and a senseless delay to ownership of a funny tube with baffles on the inside, and the progressive elements get to retain their treasured background checks. As ridiculous as it sounds to have to get a background check on what amounts to a close cousin of an automotive muffler, the HPA is one superbly crafted piece of legislation. Everyone gets something out of it. Keep on your Congresscritters. Email, snail mail, phone call, all of the above. Look them up, and remind them of the importance of this act. 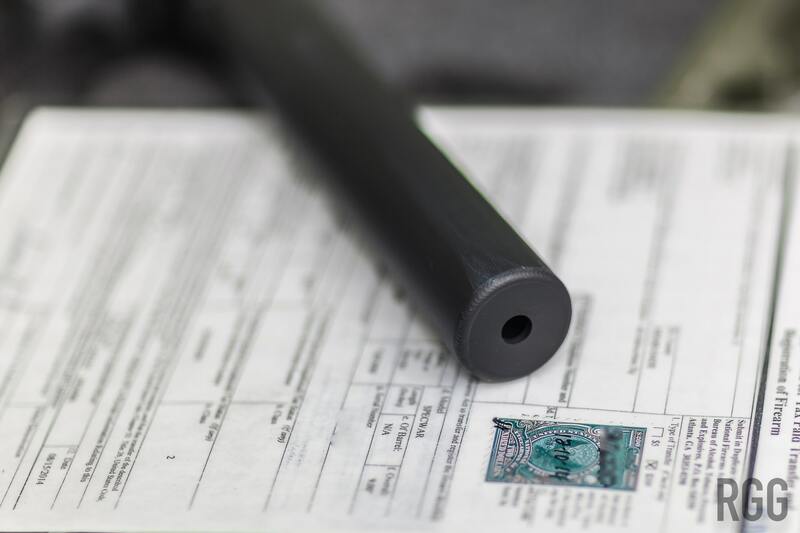 Suppressor use benefits everyone, from firearms owners, to the public in general. It’s a good thing.